Good thinking. I haven't played Morroblivion yet, but those original icons do seem rather out of place. 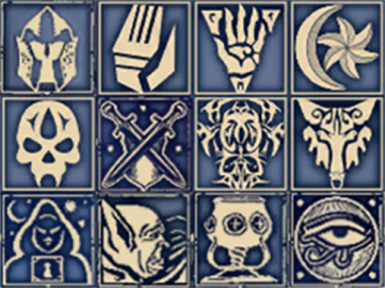 By the way, for the Imperial Cult quests, you could just reuse the Weynon Priory icon. As for the others, try those (I quickly whipped those up myself): Link Note that I don't know the filenames of the original icons, so you'll need to tweak that yourself. Looking at the description, is the Tribunal Temple icon still missing? Yes the Tribunal Temple Quest icon has 3 Deadric Symbols, It's different then the Tribunal Main Quest icon. Woah! Speedy and Amazing Work! I'm downloading these textures from ZuSkunks too. If they get included in the files here, please let us know. Thank you both, ZuSkunks and DaggerfallTeam for the improvements that you are making to Morroblivion. 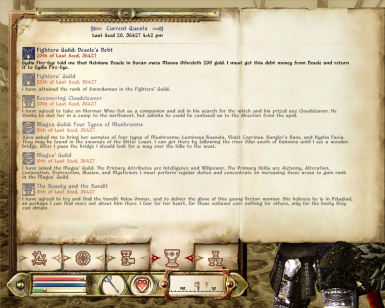 I'll be updating my own guide, especially after qwertyasdfgh updates Morroblivion on TESR. If your mods aren't included in that update, I will most likely be recommending them. However, I believe qwertyasdfgh has every intention of including all the current fixes to next revision. Glad to see that all icons are covered by now. Just one thing, the description still mentions the lack of Tribunal Temple icons.